ABC & 123 Trains 2 x 30 pieces. 10ft of puzzle. Manufactured by The Learning Journey. 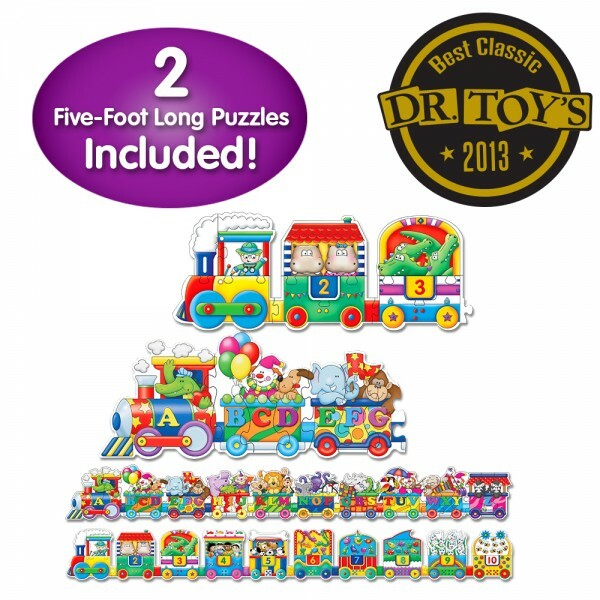 Two 1.5 metre long, 30-piece colourful cargo train puzzles: one teaching color, counting and number recognition and one teaching the alphabet. Ages 3+ years. abc PuzzleWash on the Line.